“At Taryn Toomey's downtown boutique fitness studio ... 40 women at a time sweat through a 75-minute exercise session called The Class. 'I wanted it to feel like a womb,' Toomey says, gesturing to walls painted a pale shell pink. We're two floors up from the financial district, one of the city's more chaotic and malodorous neighbourhoods, yet traffic seems a distant dream. A Florence and the Machine song, vaguely evocative of women's empowerment, wafts into the reception area from the workout room." "To call it high-vibe would be an understatement: From the moment you step into the third floor space—greeted by a “terrarium” of crystals peeking out from a wall cutout—you feel instantly at ease.The attention to detail is impeccable, with gorgeous marble slabs, pendants framed like works of art, candles flickering from corner to corner, and crystals everywhere." “'The Class is one of those things you won’t understand until you’ve tried it. Not quite fitness but physically challenging, not quite meditation but deeply cathartic. Taryn Toomey’s signature ‘workout’ is as unique and uplifting as Taryn herself ... We asked Taryn to tell us about the lessons she’s learned along her unique life path, from business relationships to building a mini-empire based on introspection …"
"By intensely pushing the body, Toomey says, she hopes to spur self-discovery well beyond the studio. 'We like to call The Class practice ground for life.'" “Taryn Toomey’s Retreatments—two-hour sessions of her cult hit workout The Class, followed up by restorative yoga, all set up at the Celerie Kemble–designed Playa Grande Beach Club on the lush Northern Coast of the Dominican Republic—sound frankly dreamy to me." “In reality, there are countless ways to meditate that don't require complete stillness—many of which have been in practice for thousands of years, and others still that are backed by science. But the ultimate lesson here is that 'meditation' can mean whatever you'd like it to ... Society tells us to keep our emotions under wraps most of the time, but sometimes you just need to let it all out. (Taryn Toomey hasn't built a cult following around her addictively cathartic The Class for nothing.)" “Taryn Toomey The Retreatment : The healing powers of a Taryn Toomey scream are hard to put into words"
"Dream team alert: Cult-fave Pursoma just launched a post-workout bath product with Taryn Toomey, fitness influencer and founder of The Class—and it’s just as dreamy as you’d imagine.The soak, aptly called 'After the Class,' is rich in magnesium, detoxifying French grey sea salt, and breath-opening essential oils like lavender and hemlock spruce, which all work symbiotically to soothe your bod after a long sweat sesh." 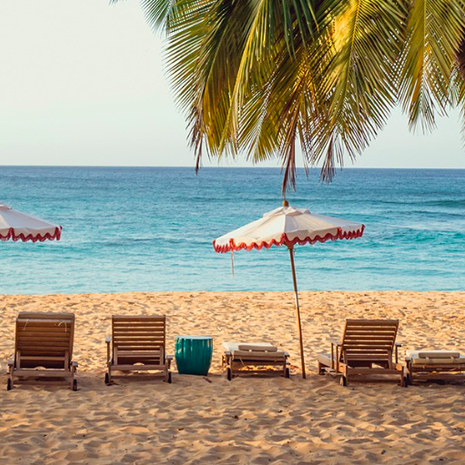 “Escape to the Dominican Republic for a week with wellness, fitness, and mental health guru Taryn Toomey. Daily activities, morning meditations, 2-hour sessions of The Class by Taryn Toomey, horseback riding, hiking, restorative yoga, and healthy Caribbean cuisine"
So What Do You Do, Jennifer Aniston? “When Shannon Vaughn, founder of Pursoma, and Taryn Toomey, founder of the addictive studio workout The Class, announced a collaboration on a bath treatment called After The Class - an updated recipe with anti-inflammatory, hydrating magnesium chloride added to the original - I was already sold. But when I discovered the inclusion of an 'intention stone,' I was smitten." “The fitness founder specifically named her course so generically so because she simply didn’t find the language to pin down its essence–not to mention what people take away from it ... 'It’s called ‘The Class’ because there are so many things in the bucket of what we do [in a session],' Toomey says. 'It’s whatever you want it to be.'" “If you live in L.A. or NYC, you probably already know who Taryn Toomey is. Chances are, you’ve either tried The Class by TT or heard about it from a friend or co-worker—or seen the gorgeous images of what looks like a cross between a group therapy session and cardio-yoga class on Instagram. And, if you don’t live in one of those cities, Toomey’s coming for you soon, with plans to expand her cult-followed wellness empire well beyond the coasts in the upcoming months and years ... But in the midst of all of that, she stays focused on a few easy ways to tend to her own magic, practice self-care, and find inspiration. Digest it all in Toomey’s 'Shortlisted' rundown, ahead." “The Class reignited my desire to work out. It fired me up to start sweating regularly again. What The Class and Toomey reminded me, more than anything, is that nothing is better for banishing all the bad stuff than a workout ... The whole experience was intoxicating, I thought—and judging by her many adoring fans, I'm not alone."